With Sportscenter on in the background this morning, and we’re waiting for some MLS Cup coverage. 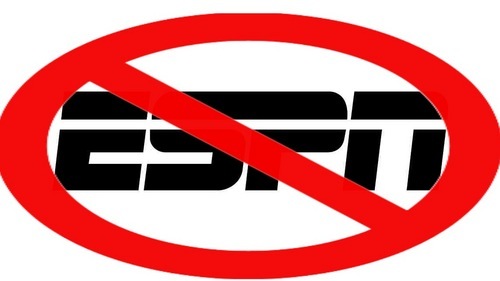 Never heard it; never saw it.. ESPN – you fail. Again. Plenty of analysis on mediocre NFL Quarterbacks, reactions to the College Football playoffs. Plenty of noise about QBs who aren’t even playing – Manzeil and RGIII. But three good minutes on the championship of Major League Soccer? Not saying it wasn’t in there somewhere, but I sure didn’t see it. A friend and I have been coaching rec league soccer at the YMCA for our boys the last two years. This summer we decided to try and take some of our players and form a competitive team to play in local soccer tournaments in our area. We have a good central group of kids, and the the thought is we can find a handful of other good players from the Y teams in our age group to fill out our roster. So far so good. We decided to sign up for the Illinois Class E Coaching License – a two day course focused on ages 9-12, sanctioned by the U.S. Soccer Federation. We figure this will help us improve our training sessions and overall coaching. This weekend we’ll be at the course, but prior to that we had prep work to complete. The prep work consists of three main assignments: Rules of the Game/Referee Introduction, Concussion Awareness, and Coaching Philosophy/Team Management. A couple of days since the USA Soccer team exited the World Cup – beat by a better team in Belgium, but defiant and unbroken in the end. Everyone has acknowledged the brilliance of Tim Howard, the heart and drive of the field players, as well as their lack of possession and finishing. As much as the Team America was outplayed on the ball by Beligum, had Wondolowski and Dempsey scored on a couple of key chances, we could well be talking about one more game against Messi and Argentina. SI.com’s Grant Wahl summed up the match very nicely (as usual). “Why Landon?” I asked him. That’s my boy! For the record, I took Dempsey, Donovan, and Guzan. This discussion took place out of the blue last week. Before the World Cup, my eight-year-old son barely knew the U.S. Soccer team. He knew a few of them, but now he knows the entire roster. He’s interested, engaged. He and his sister sat and watched nearly all of each group stage match – two of them out at sports bars/restaurants, one in town. He can’t get enough World Cup.